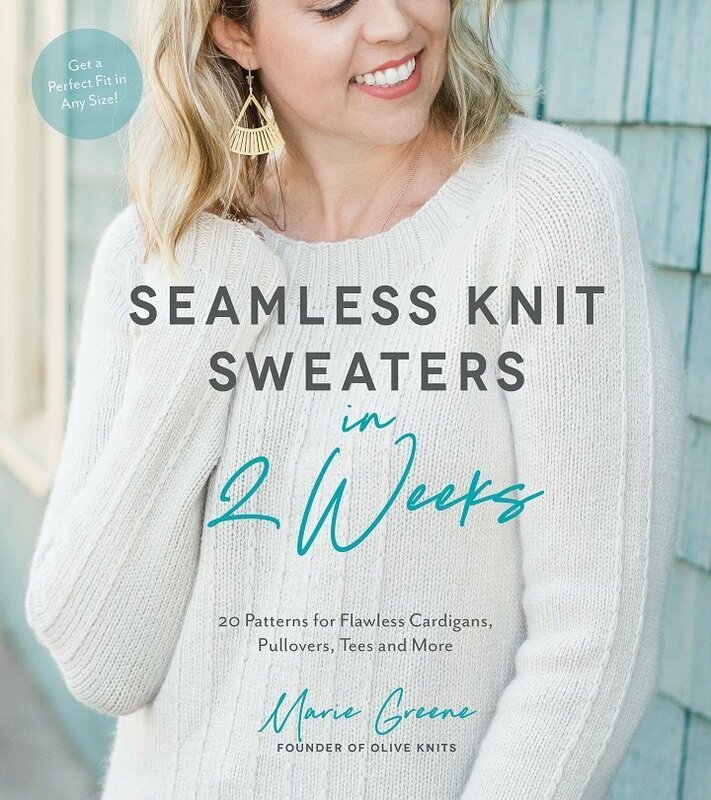 Seamless Knit Sweaters in 2 Weeks (Page Street Publishing, 2019) is now available. 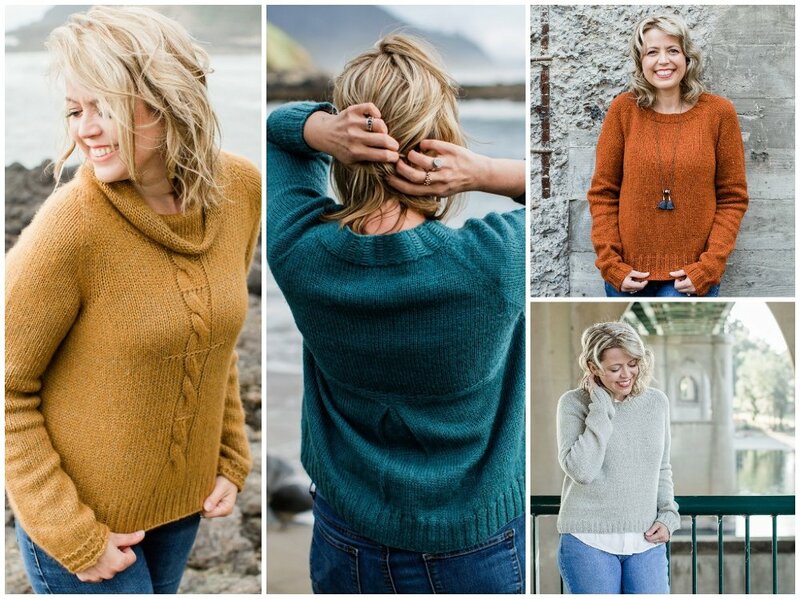 My book brings you a collection of 20 of brand new sweater designs – all seamless! – that feature classic, wearable styles with modern details and my own unique approach to shaping. I also include helpful tips about gauge, yarn substitutions, getting a proper fit and more! I created a collection of sweaters that I’d want in my own closet; sweaters I would enjoy knitting and wear often. 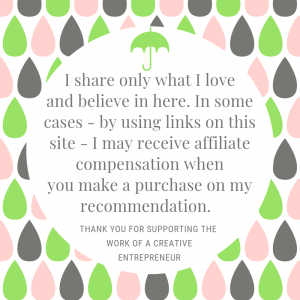 I can’t wait for you to get your hands on this book – I think you’ll find some new favorites, too! Marie Greene’s seamless, top-down patterns bust the myth that sweaters take six months or more to make. She’s created 20 new patterns to get readers wearing their own high-quality knits in only two weeks. Each sweater features just the right amount of detail for a beautifully textured look with minimal work. No buttonholes and no-fuss construction make the garments surprisingly simple to finish. Designed with portability in mind, the patterns are easy to memorize, making any spare moment prime knitting time. Marie’s friendly, straightforward instruction and clear technique tutorials have made her patterns a hit with knitters online. 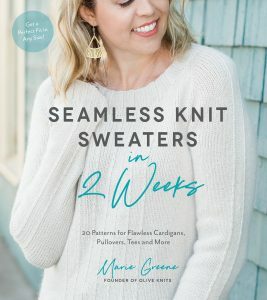 In this book, she shares her tested tips and tricks for more efficient knitting and faster results. You can order your copy wherever books are sold, and through many local yarn shops and maybe even your local library.